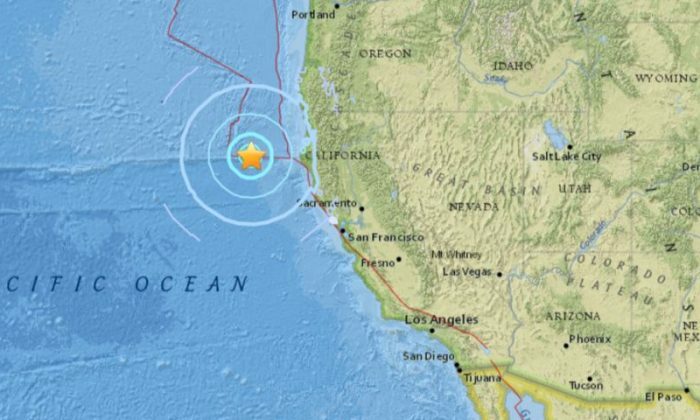 A magnitude-5.7 earthquake hit off the coast of Northern California according to the U.S. Geological Survey in an update at around 4 p.m. ET on Friday. 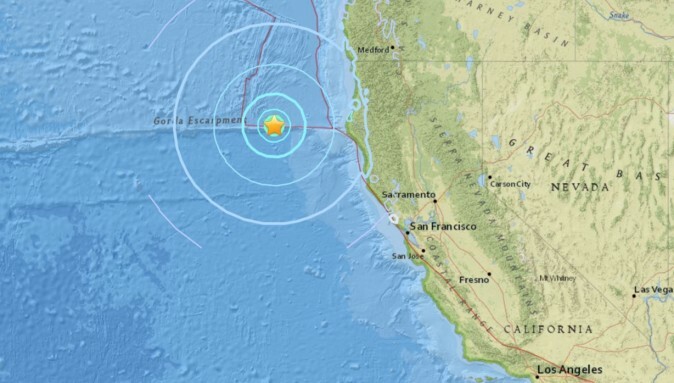 The quake hit at around 5.6 miles in depth, according to the agency. 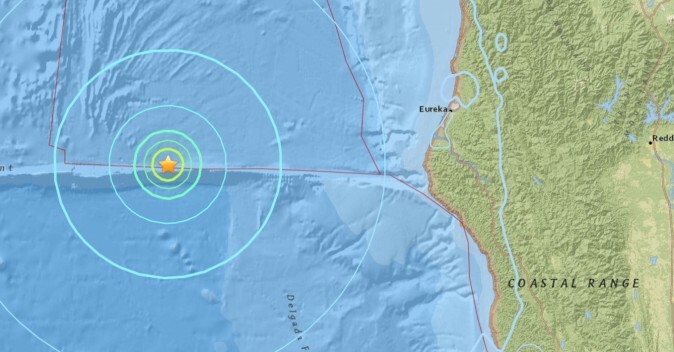 The quake appears to be too far offshore to cause any damage. No tsunami warning has yet been issued. It hit about 150 miles off the coast of California. “Time spoke to experts who pointed out that Southern California, Los Angeles and San Francisco were the most at-risk areas in the country for the next destructive quake. It’s been 160 years since the magnitude 7.9 earthquake near the San Andreas Fault, meaning a lot of pressure has built up over the years,” it reports. 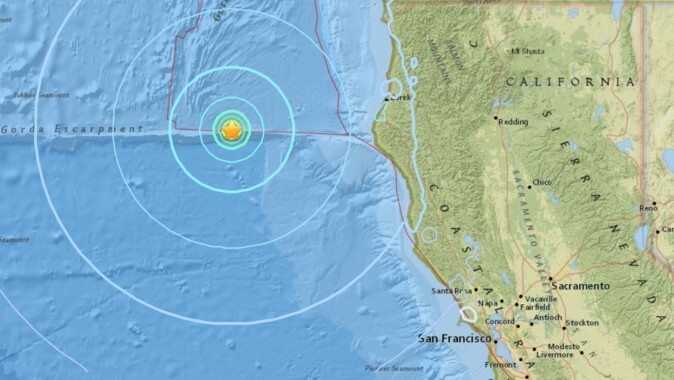 On the central coast, a magnitude 3.2 quake hit San Juan Bautista on Wednesday morning, and a magnitude 2.8 earthquake rumbled between Gilroy and Morgan Hill about 10 a.m. Thursday, television station KSBW-8 reported. Stronger earthquakes were reported in Northern California, with a magnitude 3.8 earthquake reported in Shasta County and a 3.0 in Humboldt County. It comes after several large earthquakes hit Paupa New Guinea, Indonesia, Vanuatu, Japan, and New Zealand. A 7.1-magnitude earthquake hit Mexico City earlier this week, killing more than 200 people. The quakes occurred along the Pacific “Ring of Fire,” a region prone to earthquakes and volcanic activity.